If you’re a self-confessed cookaholic, you’ll love the live cooking event coming up at Tamar Trading, Bodmin. Taking place on 1st March from 10am until 4pm, the event will give you the opportunity to try before you buy from a range of NEFF appliances. 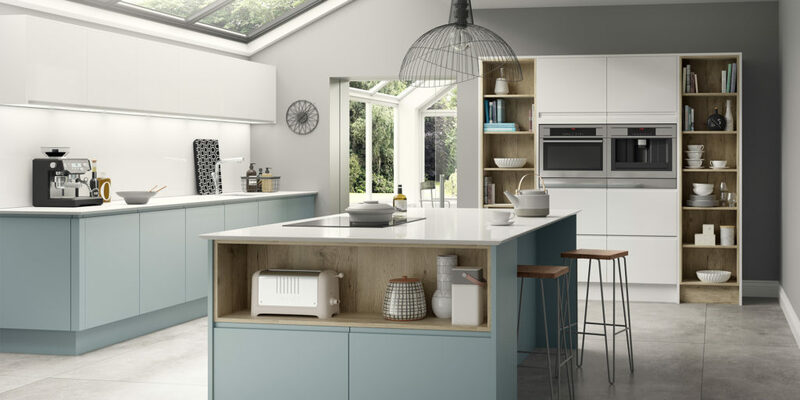 With cooking demonstrations showing how you can rustle up some delicious recipes, you’re sure to be inspired to get even more creative in the kitchen. You’ll see first hand appliances such as the Slide and Hide Oven range, which will really change the game for your cooking thanks to unique features that let you cook almost anything you can think of. Not to mention you’ll also get to meet likeminded cooks – all you need to bring is your love of fresh food and passion for getting creative in the kitchen. As well as this exciting event Tamar Trading has also recently introduced The Aria range of innovative worktops to its extensive collection. This unique product combines the striking aesthetics of natural materials with a highly developed engineering process. 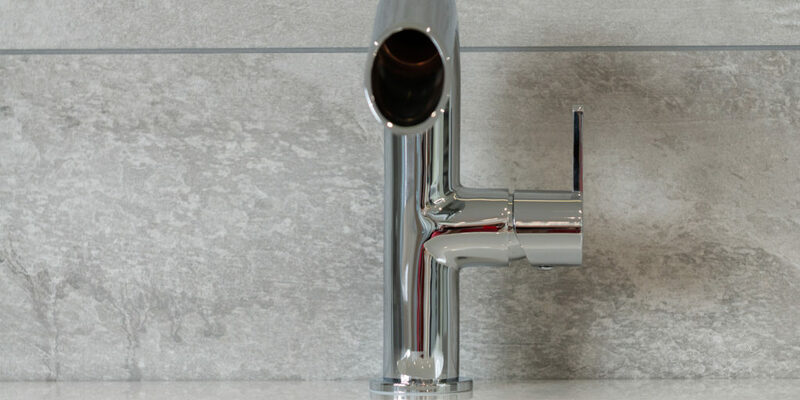 Aria has been developed to give you a strong alternative to natural and engineered stone, without compromising on the durability or quality of those materials. 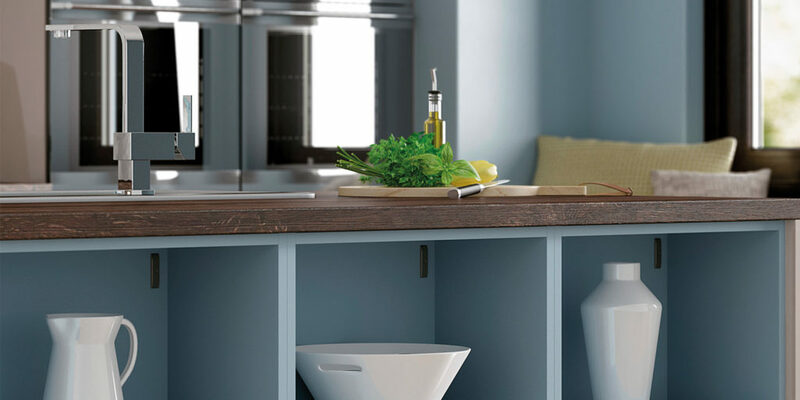 Manufactured in two thicknesses, with 12mm and 20mm available, this range can help you transform your kitchen into the living space you’ve always desired. We hear from Showroom Manager, Sally Millergill: “This affordable new range mimics real stone but falls into the laminate price region. 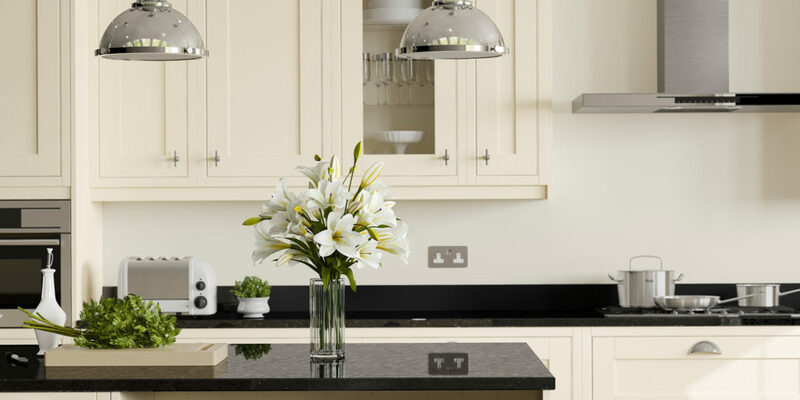 It’s an exciting product because it allows us to offer undermount and Belfast sink options to customers who may want the look and feel of real stone, without incurring the higher costs that real stone or composite stone options entail. It can also be cut and finished easily using normal woodworking tools with a pre-finished top, meaning that installing it won’t take as long either.” The Aria range adds another dimension to Tamar Trading’s already extensive collection, providing buyers with an alternative to more expensive stone materials, without compromising on finish. 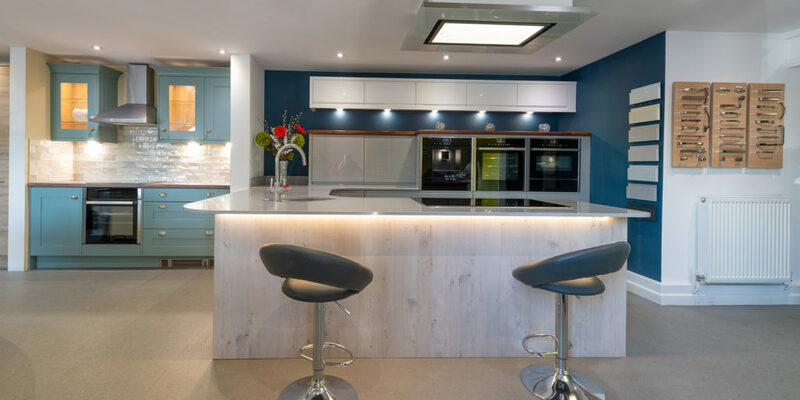 With stone, granite, quartz, wood and now luxurious laminate options, there’s sure to be something to suit all tastes, so make sure to fit in a visit to the Tamar Trading showroom and discover what worktop works best for you. Whether you’re in the fledgling stages of your project or just need to make some finishing touches, the team at Tamar Trading are always available to help move your plans forward, ensuring all the time that you receive the best possible advice and the keenest prices. 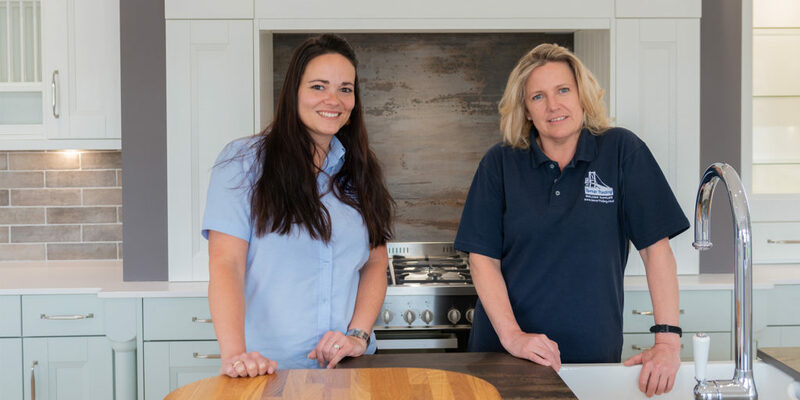 Tamar Trading prides itself on providing a personal service and the team endeavours to really get to know their customers, which enables them to provide outstanding kitchens and bathrooms tailored specifically to your needs. 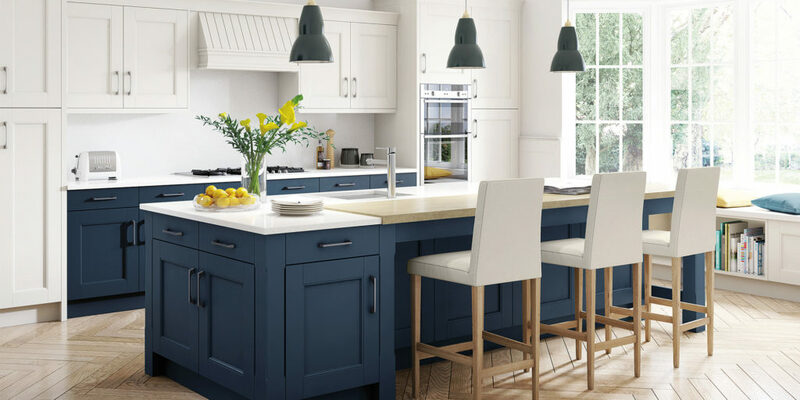 Specialising in flooring, worktops, laminates, compact, panel products, solid surfaces and wall panelling, Tamar Trading have access to the UK’s largest distributor of decorative surfaces, so you know you’re in safe hands. Don’t take our word for it though, head to the showroom in Bodmin and discover the exciting new range and upcoming events for yourself. One of the Slide & Hide Ovens in NEFF’s range even has pyrolytic self-cleaning technology, so you can spend less time cleaning and more time cooking! 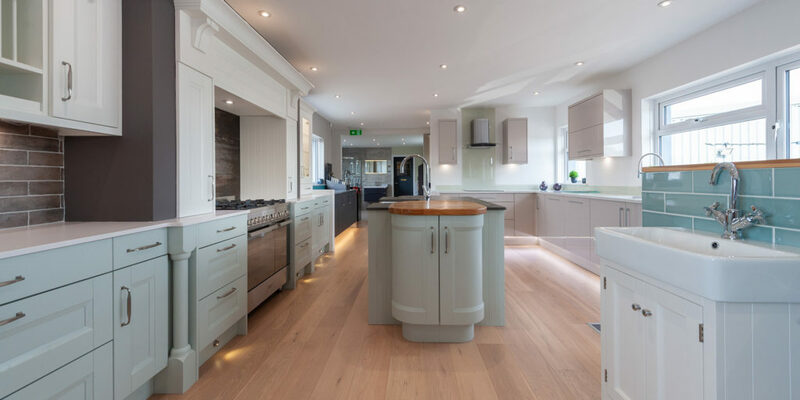 "With stone, granite, quartz, wood and now luxurious laminate options, there’s sure to be something to suit all tastes..."